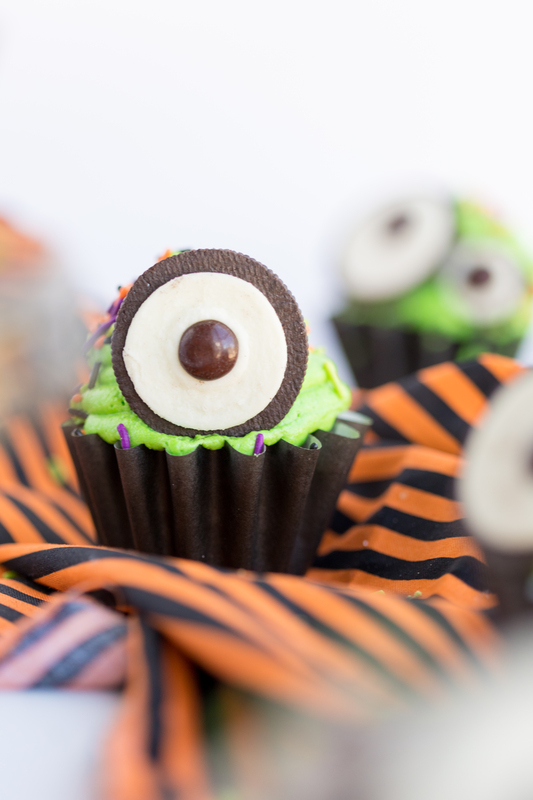 These Monster Eye Cupcakes are a fun and easy halloween cupcake recipe great for parties, classrooms treats or Trick or Treat parties. We aren’t big into Halloween, as far as ghosts, goblins, vampires and other creepy things go, but we do love our fair shared of cute ghosts, monsters, and friendly Jack-O-Lanterns. 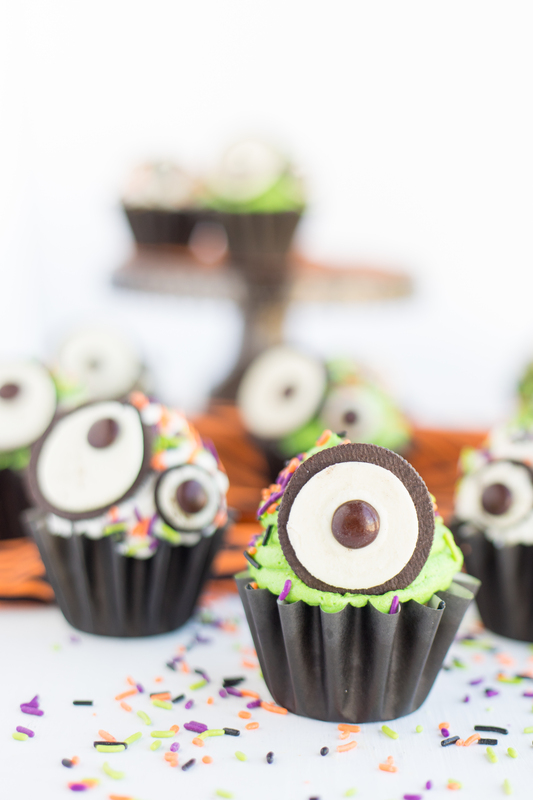 These Monster Eye Cupcakes are another fun treat to serve at parties or classroom settings, if allowed. It’s a simple food craft that even the kids can have fun making. The kids will have so much fun making their own monster cupcakes. 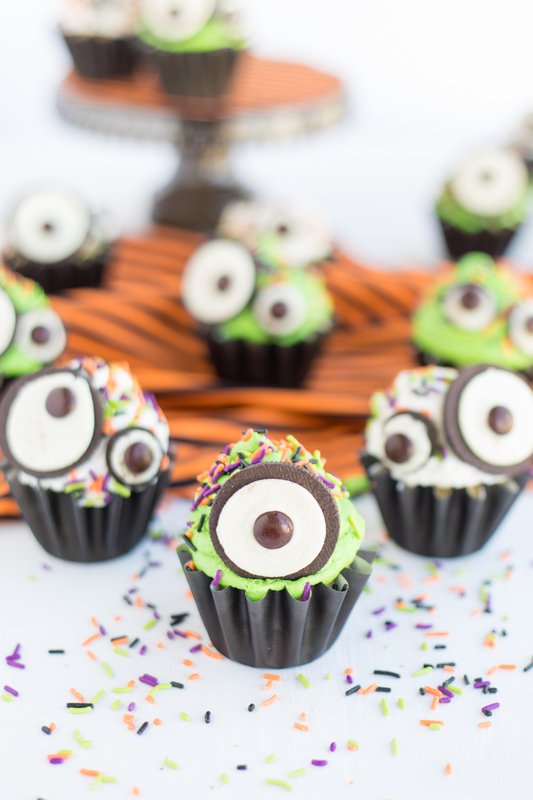 With just a little bit of help from adults, these monster eye cupcakes are something the kids can make from start to finish from mixing and pouring the batter to making the eyes and adding and sprinkles on top. 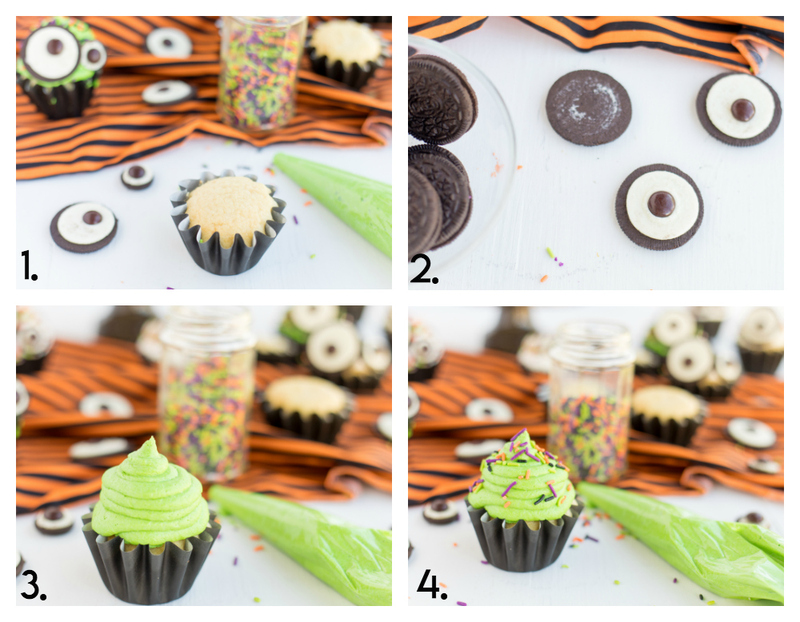 You only need a batch of your favorite cupcakes, we love to use box cake mixes for recipes like this, and a few other Ingredients to make these adorable little monsters. Bake your cupcakes according to the box directions. Make your frosting, either store bought or homemade, and place in a piping bag. 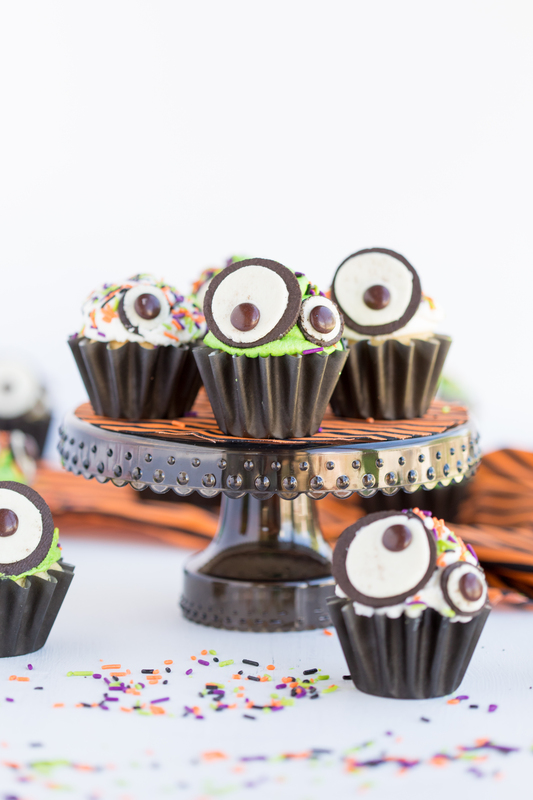 Untwist Oreos and place brown chocolate candy to the white cream to make an eyeball, you can use a tiny amount of icing as glue. Pipe frosting 2-3 inches high. Attach eyes by pushing in to the frosting.